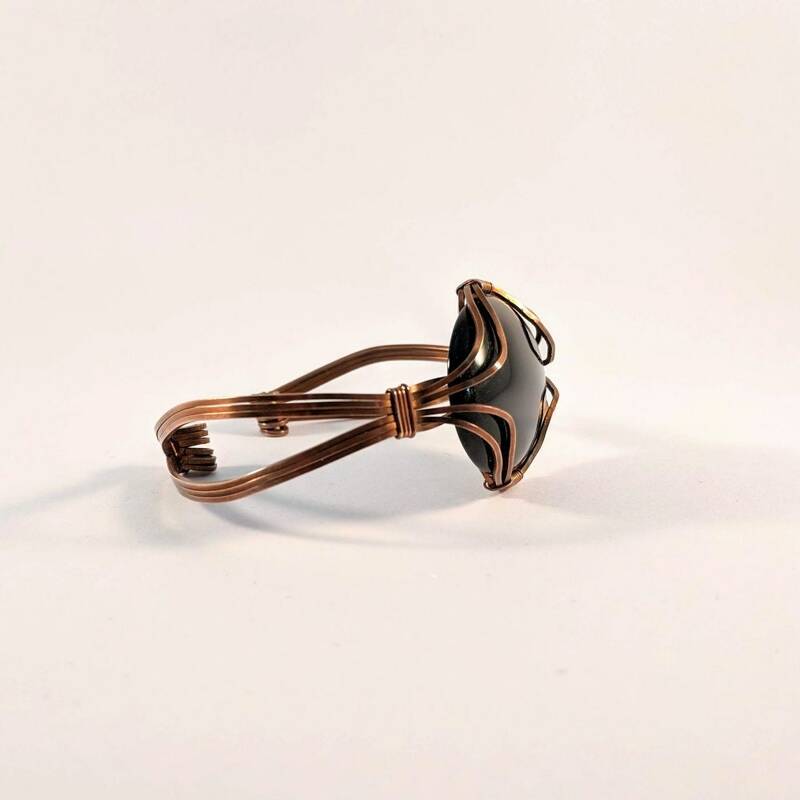 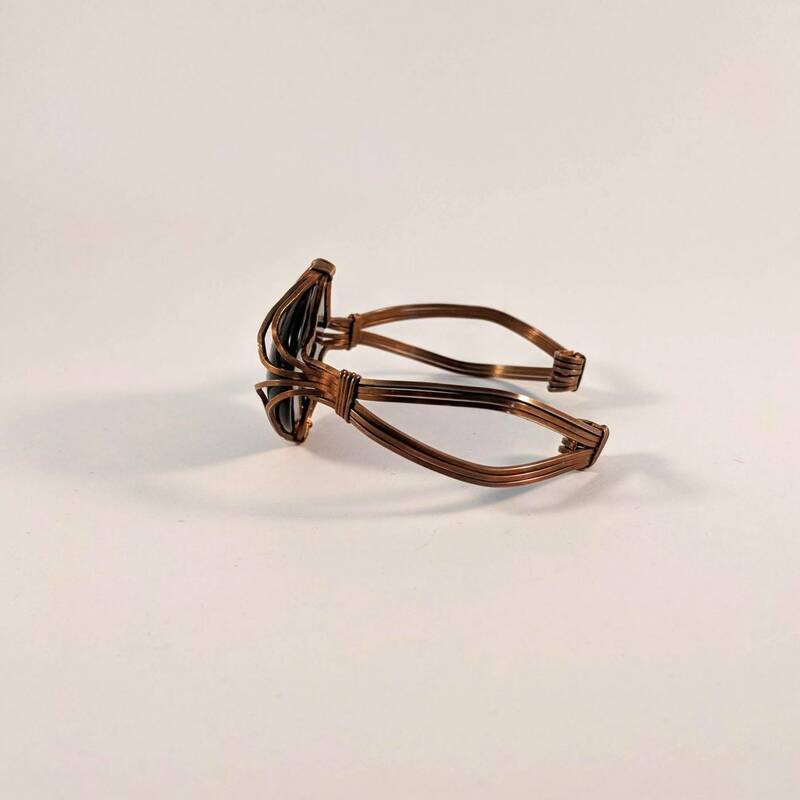 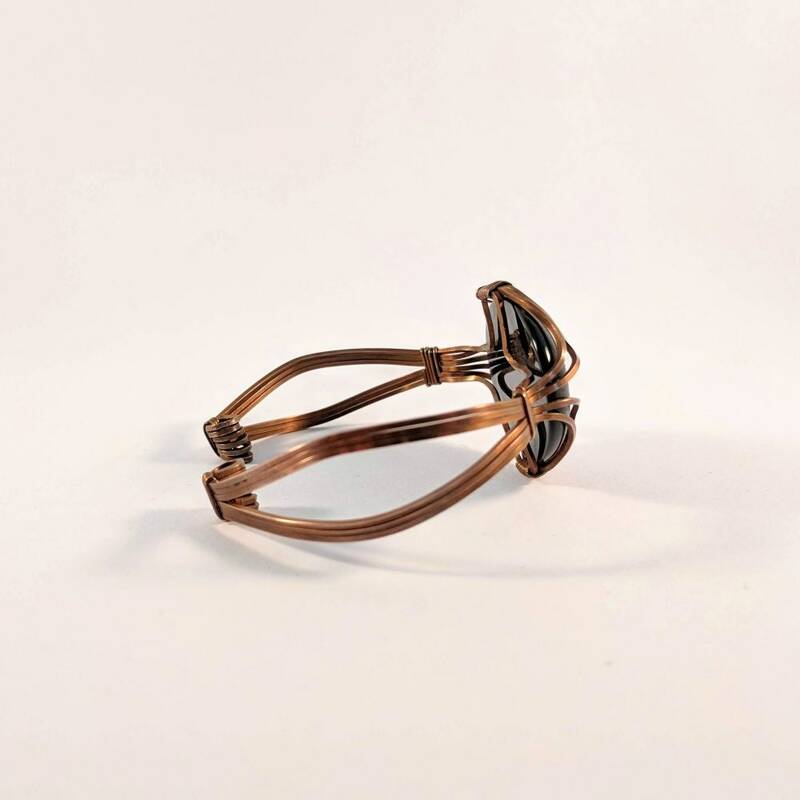 A copper cuff wrapped with square wire in an open design. 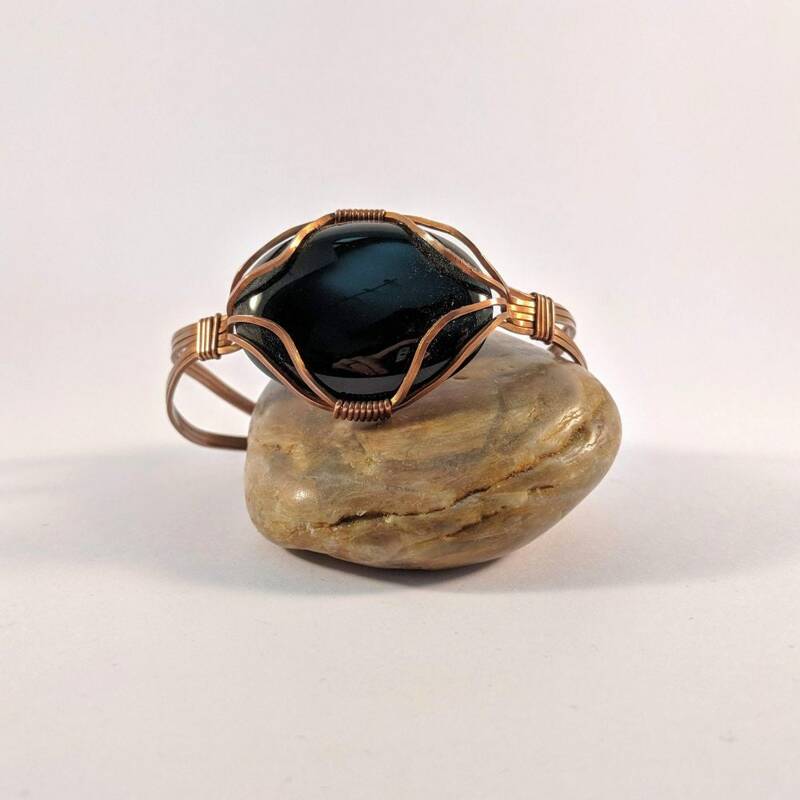 It features a large onyx cabachon as the focus piece. 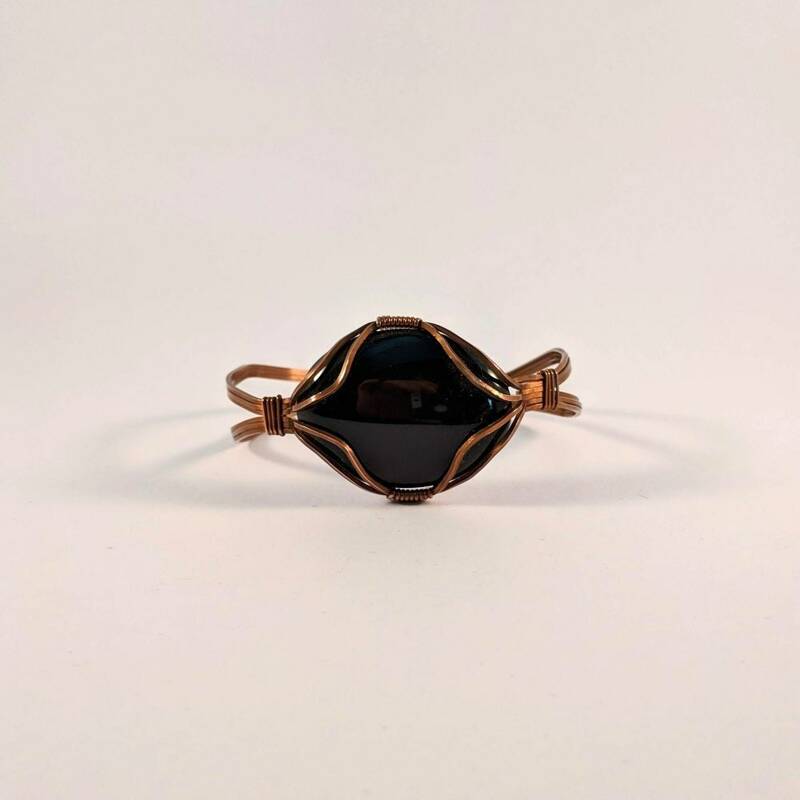 The onyx measures approx 40 x 30mm. 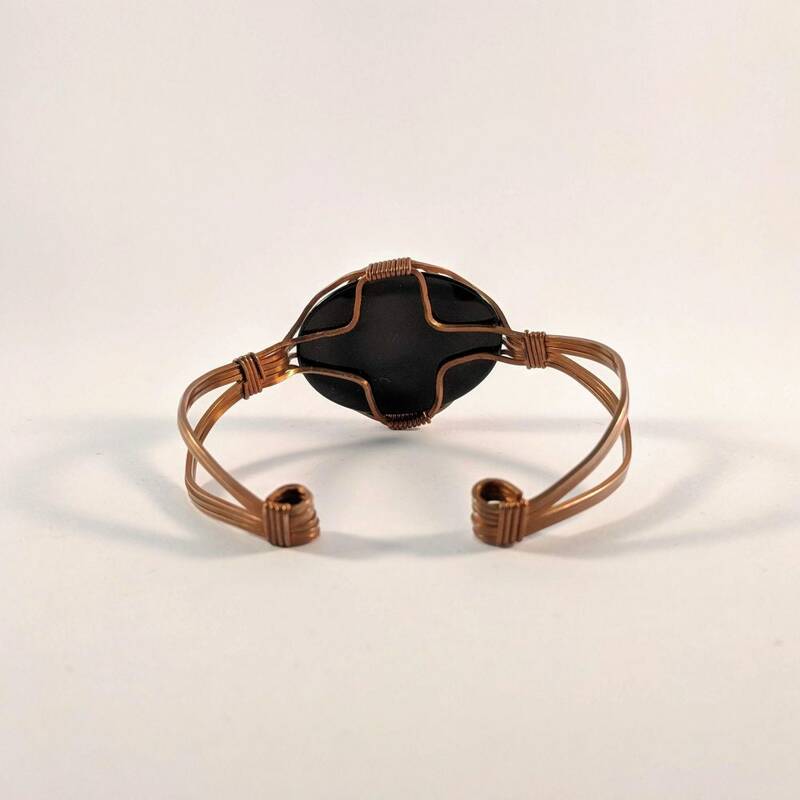 The cuff is adjustable and will fit most wrists except very small ones.